Cath, I got goosebumps reading your intro. You are a star 🙂 It’s lovely to be here. Great to have you on, Jenn. I’m hoping to spot House in the wild today. Will give a little cheer for you when I do! Another good post, thanks Cathryn and Jenn! 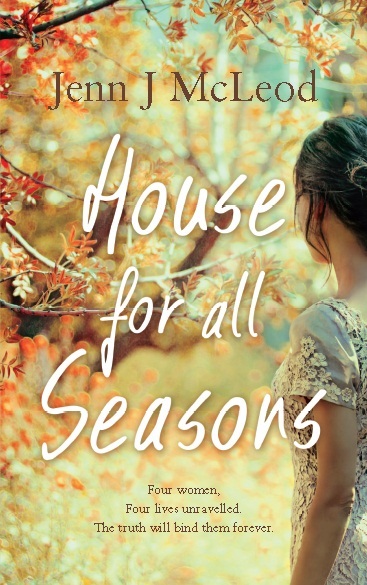 Jenn, congratulations again on the release of House for all Seasons – and the great reviews! Oh, lucky you, Christine. You can’t beat the flavour of home eggs. Poached is definitely the way to enjoy them too. Hi Chrissy, Thx for dropping by. I love a poached egg, but I do use vinegar. Never tasted it though. The cafe did teach me how to make a perfect poachy. best way to have an egg. Hi Jenn and Cathryn! 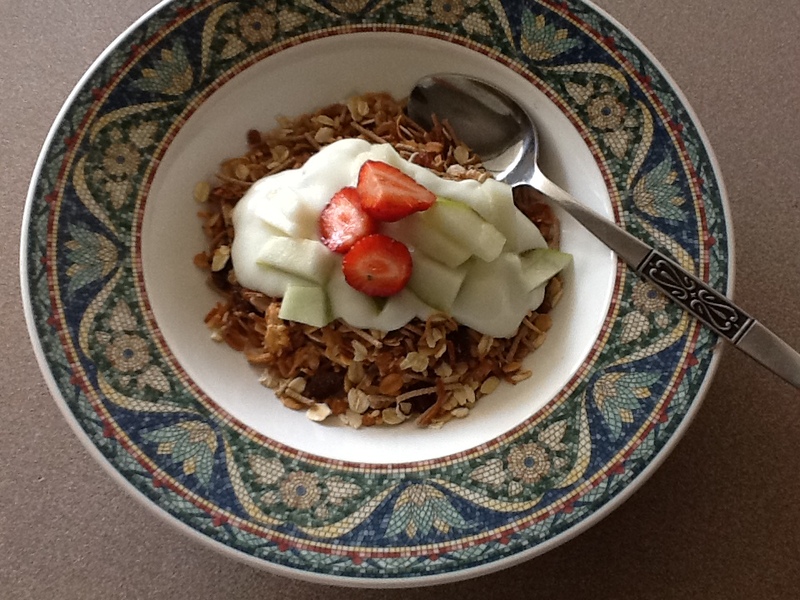 I love homemade muesli with poached fruit and yoghurt. And perfectly poached fresh eggs, Yum! Favourite breakfast would have to be french toast, maple syrup and bacon. Utterly decadent and you won’t eat again till evening. French toast, syrup and bacon? Ooh la la! Hmm, I think this is something I may have to try. Good to see another poached egg fan. Best way to eat them. LOL Lou, we did THE BEST French toast in the cafe. But I only looked at the people who ate it regularly and that was enough to stop me!!!!!!! As dad says, everything in moderation. Jenn, congratulations on your book. It looks just delectable. I’ve got two breakfast indulgences I enjoy for special occasions. One is Eggs Benedict with asparagus and the other: toasted poppy seed bagel with smoked salmon, lettuce with a touch of red onion and black pepper. Breakfast is such a lovely meal. Ooooh, eggs Benedict. I so love that dish!! Smoked salmon for breakfast makes me think of my girlfriend when we were hooning around Scandanavia. She went mad for all the pickled fishy things at breakfast. I still don’t know how she faced it. Smoked salmon I can go in the morning (very civilised).Smelly fishy things, definitely not! PS: Thanks Cathryn, for hosting another foolproof, fireproof recipe. Although with my luck the oats will turn into popcorn! I’ve been banned from the kitchen again this week. I killed a casserole…we’re still trying to bury the remains. Pretty cool about the Dymocks’ pick, isn’t it, Juanita? Fantastic accolade, and in the Women’s Weekly no less! As for the killed casserole…not sure I want to think about that. I mean….how??? Juanita you are welcome anytime at Wagtail Cottage. thank you for your lovely comments, here and everywhere. you are a true and generous friend.